Common Rudd look like dozens of other cyprinids, but they’re upturned mouths and relatively small dorsal fins distinctly separate them from goldfish. There aren’t many native freshwater fish in New Zealand. There aren’t many non-native ones, either. Along with European Perch and Brown Trout, the Common Rudd is one of several species European settlers brought with them to the tiny island nation, and it has thrived where planted. So, when I managed to entice a small, gold fish to inhale my jig after having already caught several European Perch, it was just icing on the cake. It looked like a goldfish, but I knew it wasn’t. Namely, the dorsal fin was too small. 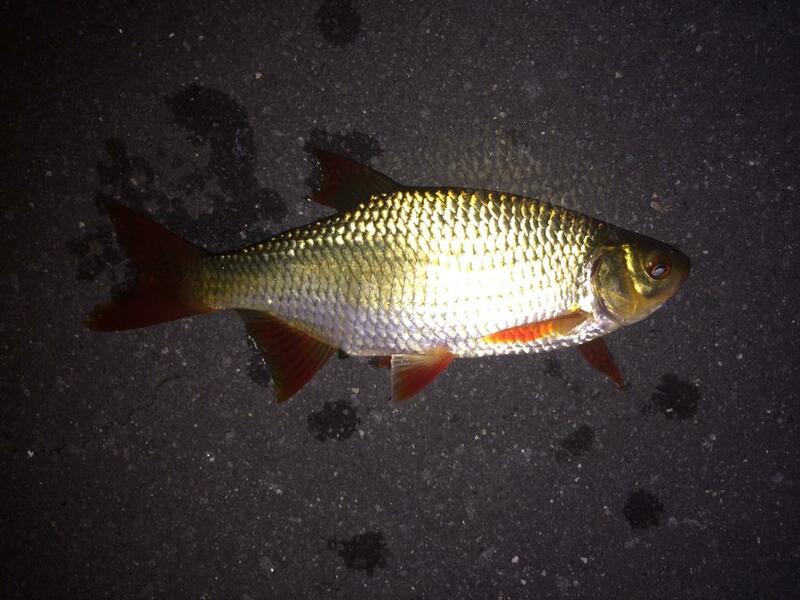 I’d spent a lot of time researching what was available, and I quickly identified the Common Rudd I’d just caught. Night fell hard, and the bite died, so David and I decided to head out. We hopped into the car and made our way back to the park’s entrance only to find a locked gate across the road. A call to David’s parents got us a ride, but our car was stuck there for the duration of the evening. We came back the next day, the car no worse for wear. This was the last new entirely freshwater species I caught down under, but it would not be the last time I got locked in someplace while fishing. Read the next entry in #SpeciesQuest here: Species #55 — Blue Cod.